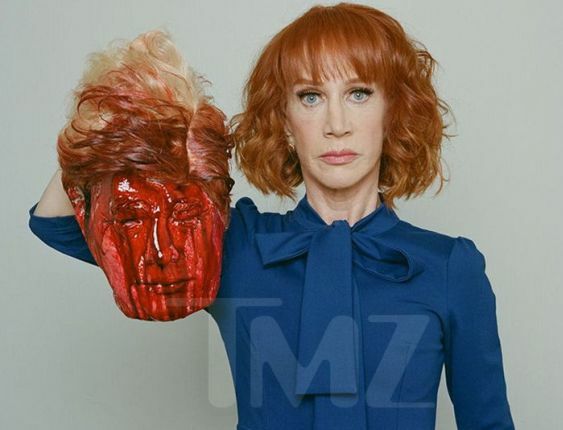 Comedienne Kathy Griffin was seen in a photo holding the decapitated head of a man that looked like the president of United states, Donald Trump. According to TMZ reports, Griffin posed for it during a shoot with the famous photographer Tyler Shields. I don't understand what must have been going through her mind to have posed for such gory shot. Does she hate the president that much? I wonder how the US president would take this.